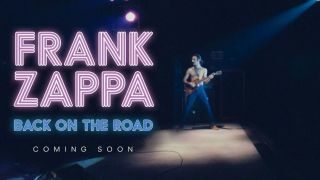 Frank Zappa is to be the latest deceased icon to be given an onstage resurrection via hologram technology, thanks to a team-up between the Zappa Family Trust and entertainment firm Eyellusion. While the decision will likely remain controversial among Frank fans, the songwriter's family and collaborators have greeted the news with enthusiasm. "We can't wait to bring his creative work back to the stage with the musicians he loved to play with, such as Steve Vai, Ian Underwood, Adrian Belew, Arthur Barrow, Vinnie Colaiuta, Scott Thunes, Mike Keneally, Denny Walley, Warren Cuccurullo and Napoleon Murphy Brock among others who are committed to being part of this epic endeavor," says Ahmet Zappa, co-trustee of the Zappa Family Trust. How radical would it be to have Moon singing Valley Girl onstage with Frank? Or to see Dweezil side by side with our father playing duelling guitar solos? "When I spoke with them, they were excited at the prospect of performing alongside Frank once again and can't wait to give fans an unforgettable experience... Also, how radical would it be to have Moon singing Valley Girl onstage with Frank? Or to see Dweezil side by side with our father playing duelling guitar solos? That would be my greatest wish and I look forward to bringing this special celebration of Frank's legacy to a town near you." In addition, there's also a plan to produce a new version of Joe's Garage The Musical starring a hologram Zappa. Dates are yet to be announced, but if Eyellusion's previous work on the recent Ronnie James Dio campaign is anything to go by, it's likely we'll see a one-off performance, before a larger string of dates are unveiled. There's been no shortage of think-pieces on the musical/moral issues behind such Lazarusian lightshows, but the jury is still very much out on hologram performances. The vast majority of fans have not encountered the technology and it's yet to be consistently road-tested, so it will be interesting to see how the hologram model works in the wider touring environment. We'll get our first taste of that come December, when the Dio Returns world tour rolls out, with Zappa dates sure to follow.